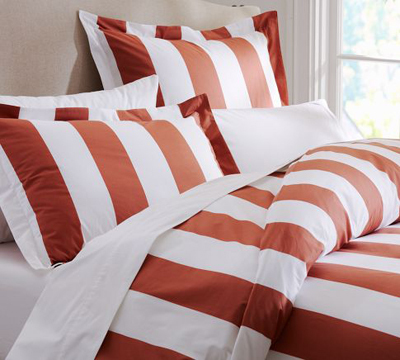 Awning stripes give this Classic Stripe Duvet Cover & Sham its all-American appeal. Printed across luxuriously soft 400-thread count 100% pure cotton percale. $39-$149 Sale $34-$129. Buy here.